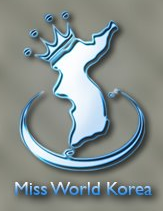 The inaugural Miss World Korea 2011 has been postponed to August 30. The national pageant will be held at the Grand Hyatt Seoul and the winner will represent Korea in Miss World 2011 in London, England on November 6. 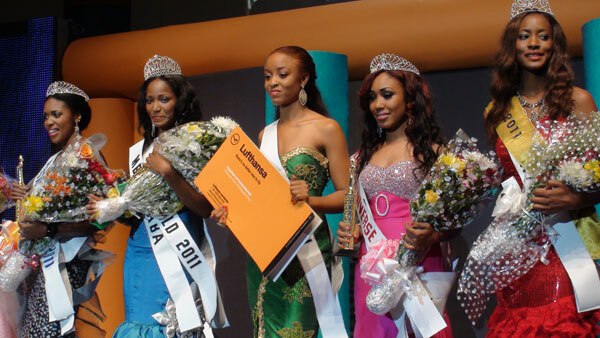 Miss Universe Ghana 2011 will be chosen on July 2 at the Shangri-La Hotel in Accra. The winner will represent Ghana in Miss Universe 2011 in Sao Paulo, Brazil next September. 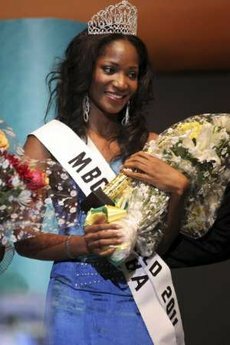 Keity Mendieta Britton (20, 1.77m, Panama City) was appointed as the new Miss Internacional Panamá 2011 by Tania Hyman, director of the Bellezas Panamá organization. She will represent Panama in Miss International 2011 in Chengdu, China. 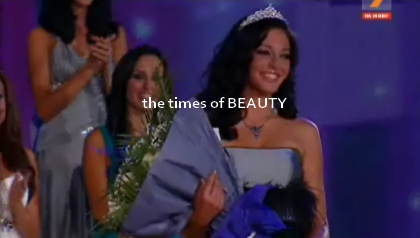 Vania Detelinova Peneva (23, 1.74m, Kazanlak) was crowned Miss Bulgaria 2011 (Мис България 2011) at the conclusion of a spectacular show held at the TV 7 studios in Sofia. She will represent Bulgaria in Miss World 2011 in London, England on November 6. 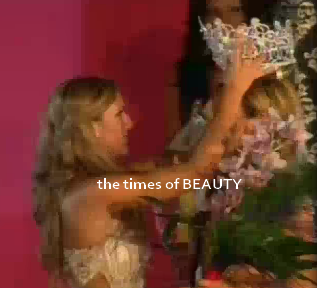 Olga Emil Modeva was the first runner-up and Denitza Kirilova Stoyanova was the second runner-up. 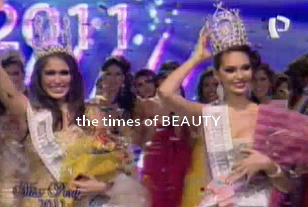 This year the national pageant was preceded by a reality show and featured 12 contestants. Promociones Gloria announced on June 27 that María Olivia Pinheiro Menacho, Miss Bolivia Universo 2010, will represent Bolivia in Miss Universe 2011 in Sao Paulo, Brazil. Olivia Pinheiro confirmed the news to the local media. Several months ago, Miss Bolivia Universo 2010 was under intense scrutiny because of her age which allegedly did not meet the requirements established by the Miss Universe Organization. Miss Barbados World is determined and dedicated to place and produce a Barbadian woman of quality, poise and intelligence, one that admires nothing more, than her beloved island. Leah Marville, the CEO of Marville Management, an international entertainment services company, is the director of the Miss Barbados World franchise. 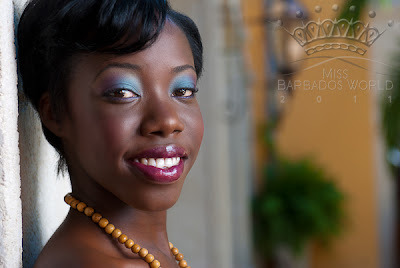 The Miss Barbados World 2011 pageant is scheduled for August 28 at the Hilton Barbados in St. Michael. Seven delegates will compete for the national pageant. 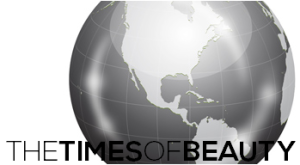 With a wardrobe clad with the islands’ premier designers, the Miss Barbados World delegates of 2011 and their production crew set out on their first official photo shoot on Sunday, June 12, at the new luxury lifestyle center, Limegrove. Local photographer, Shawn Fields, snapped the band of seven beauties in the lavish Palm Courtyard, before they posed for group shots in the Courtyard’s lounge. Over recent years, the Miss Barbados World Beauty with a Purpose project has been devoted to raising the awareness of Barbadian citizens about those persons, specifically children, living with or infected by HIV/AIDS in the island. Through continued partnership with the The National HIV/AIDS Commission, Miss Barbados World delegates are greatly encouraged to conceptualize campaigns geared at sensitizing the Barbadian public about the effect this epidemic. In addition, past contestants have also participated in fundraising efforts for the Barbados Cancer Society, the Barbados Council for the Disabled, the Learning Centre, the Caribbean Dyslexia Association and Centre and the HOPE Foundation. World Online (www.facebook.com/missbarbadosworldonline). You can vote for your favorite for the People's Choice award at the official website. Lana Mahnič Jekoš (21, 1.78m, Grosuplje) was crowned Miss Slovenije 2011 at the Studio 1 of RTV Slovenia in Ljubljana. She will represent Slovenia in Miss World 2011 in London, England on November 6. Tjaša Vezjak and Ani Žigante finished second and third, respectively. Chelsae Durocher (20, 1.75m, Tecumseh) was crowned Miss Universe Canada 2011 at the Jane Mallet Theatre of the St. Lawrence Centre for the Arts in Toronto. She will represent Canada in Miss Universe 2011 in Sao Paulo, Brazil on September 12. Elishia Sahota and Brooke Boyle finished second and third, respectively. Emily Kiss and Krystal Bedard completed the Top 5. Madli Vilsar (20, 1.77m, Kuressaare) was crowned Eesti Miss Estonia 2011 at the Virtsu Museum in Virtsu. She will represent Estonia in Miss Universe 2011 in Sao Paulo, Brazil next September. Maarja Roosentau was the first runner-up, Heleene Mäeots was the second runner-up and Xenia Likhachva was the third runner-up. Sylvia Nduka (20, 1.80m, Taraba) was crowned as the new Most Beautiful Girl in Nigeria 2011 at the Eko Victoria Island Hotel and Suites in Lagos. 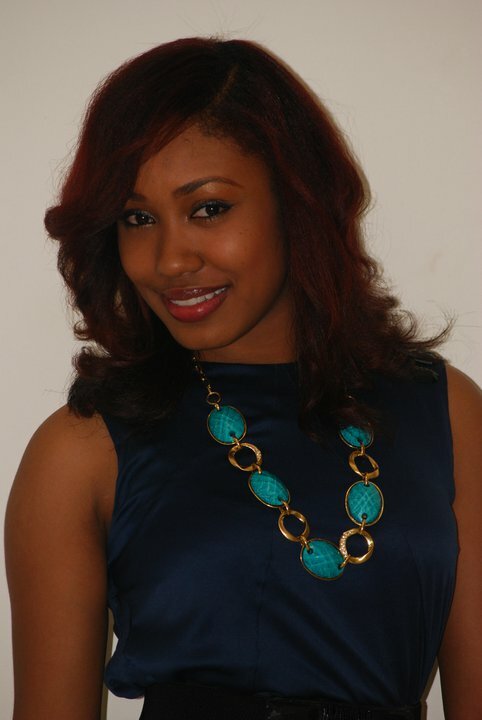 She will represent Nigeria in Miss World 2011 in London, England on November 6. Sophie Gemal (22, 1.72m, Bayelsa) was the first runner-up and will represent Nigeria in Miss Universe 2011 in Sao Paulo, Brazil on September 12. 34 contestants competed in the national pageant. Obioma Isiwu (Enugu) was the second runner-up. Jennifer Igwegbe (Gombe) and Grace Ndam (Lagos) completed the Top 5. Deborah Enebeli (Kano), Kenechukwu Offiah (Katsina), Chidebe Joyce Ngozi (Delta), Tobi Banjoko (Ondo), Ige Temifope (Ogun), Delphine Okabah (Ebonyi), Metu Kelechi (Osun), Okafor Oluchi (Kogi), Ify Jewana (Anambra) and Amanda Simon (Niger) were the Top 15 semifinalists. Michelle Gillingwater Pedersen (23) was crowned Miss Gibraltar 2011 at the Alameda Open Air Theatre. She will represent Gibraltar in Miss World 2011 in London, England on November 6. Jessica Baldachino was the first runner-up and Chantal Canepa was the second runner-up. Kirsty-Anne Victory won the Miss Catwalk and Miss Interview awards, Gianna Robba won the Miss Photogenic award and Rubaina Pincho won the Miss Friendship award. Alba Lucía Riquelme Valenzuela (20, 1.79m, Asunción) was crowned Miss Universo Paraguay 2011 at the conclusion of the Reinas Paraguayas 2011 pageant. She will represent Paraguay in Miss Universe 2011 in Sao Paulo, Brazil on September 12. Nicole Elizabeth Húber Vera (20, 1.75m, Asunción) was crowned Miss Mundo Paraguay 2011 at the same event held at the Telefuturo Studios in Asunción. 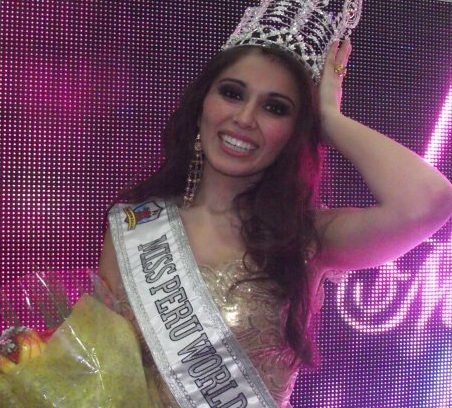 She will represent Paraguay in Miss World 2011 in London, England on November 6. Stephania Sofía Vázquez Stegman (18, 1.77m, Asunción) won the Miss Internacional Paraguay 2011 title and will go to Miss International 2011 in Chengdu, China. 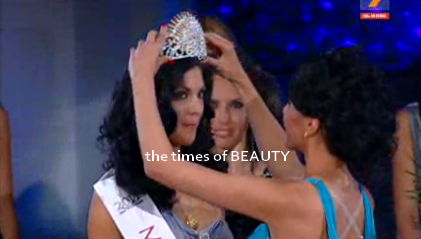 Coral Ruíz Reyes was the first runner-up and Lourdes María del Carmen Motta Rolón was the second runner-up. Myrian Leticia Patiño Arguello and Alexandra Helena Fretes Galeano completed the Top 7.